We Launched our Visioning Process! Last Saturday, our Vision & Mission Retreat in our sanctuary launched our visioning process at Advent! We worshiped, sang, ate, and prayed together. 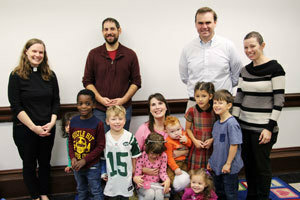 We engaged with Advent's history, our community, the Gospel, and each other. Each of us shared our biggest insights from these 4 activities on our "Vision Board" on the north wall of the sanctuary. 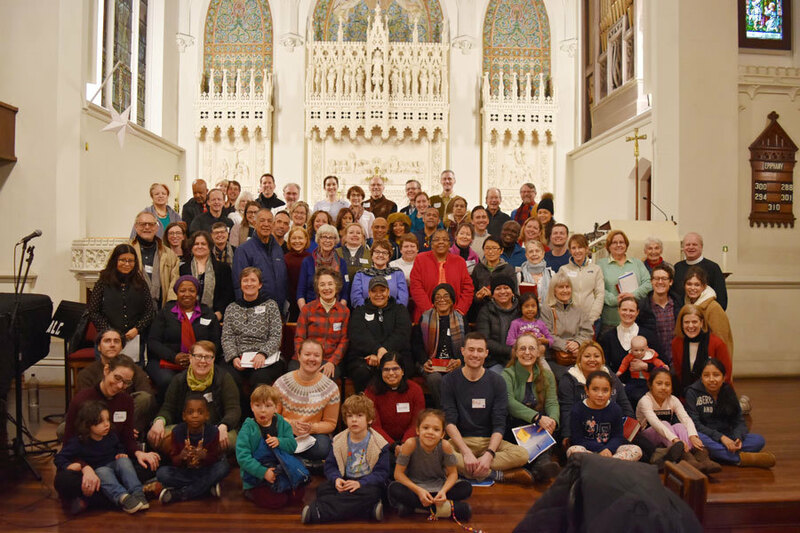 A big thank you to our whole Vision Team, who in just 6 weeks brought our visioning process from a working document to a complete framework, huge outreach effort, and a fully bilingual, engaging, and inspiring 4-hour launch attended by 80 Advent members! Thank you to everyone who helped this wonderful day come together, and everyone who participated. It was an inspiring and energizing beginning to our visioning process! Our immediate next steps are focused on growing from and responding to our Vision & Mission Retreat, and bringing in those who could not be at Advent on Saturday. This is an opportunity for you to develop your thinking after further reflection, and gives the Vision Team additional insight as they are planning our next steps. Retreat Packet Download | If you missed our retreat, download a Vision Retreat Participant Packet to see the topics and questions we explored. If you know an Advent member who couldn't be there, consider bringing them one and discussing it with them. Printed copies are also available at Advent. Vision Board | Our Vision Board on the north wall brings together the responses of all the retreat participants to 4 big questions prompting 4 different perspectives of Advent's vision and mission. 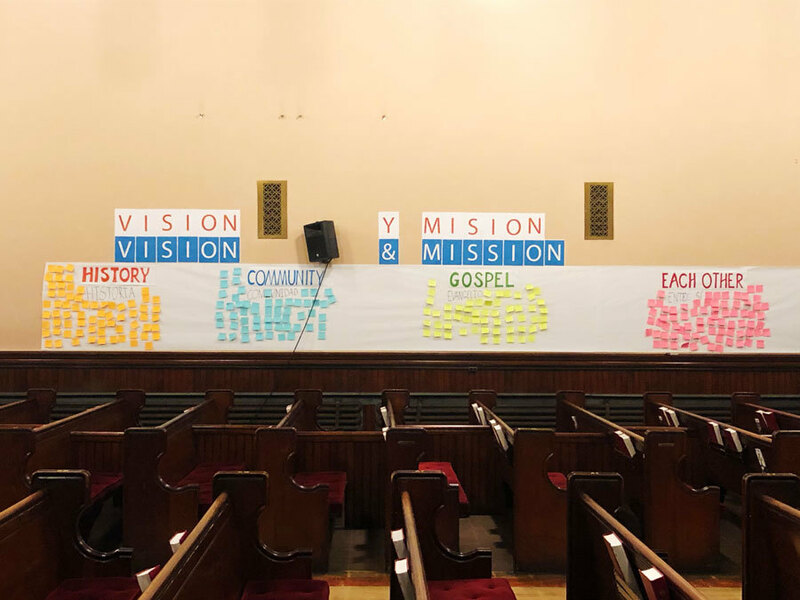 If you were at our retreat on Saturday, take some time this month to explore the Vision Board on the north wall of our sanctuary to see how other participants responded. Does anything stand out to you? Do you see any themes and patterns? If you missed our retreat, add your answer! The questions, materials, and post-its are all there with our Vision Board on the north wall of the sanctuary, so you can add your responses. We invite you to add your responses before or after worship one of the next two Sundays. Annual Congregational Meeting at 12pm on Sunday, Jan 27 | Please save the date for our Annual Congregational Meeting, which will include the next congregational opportunity to engage and learn more about our visioning process. Last Sunday we had our Annual Ministry Update, offered at both 10am & 12pm. Thank you to everyone who attended! 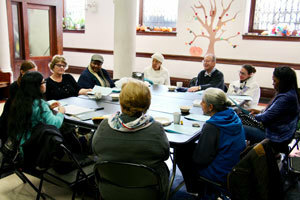 Both meetings were conversations full of learning and insights for both Advent members and staff. If you missed Sunday's ministry update, you can still explore our Ministry Annual Reports to learn more about all the ministry happening at Advent. Coming up next are our Financial Update this Sunday, and our official Annual Congregational Meeting on Sunday, January 27 at 12pm. Partnering with Trinity Schools, we are providing a free midweek meal to the community and could use your help! We begin heating up food around 3:30pm. Trinity volunteers show up at 4:15pm. Service is 5:15pm. And clean up ends around 7:00pm. Come and volunteer and/or come and enjoy a hot meal and good company. 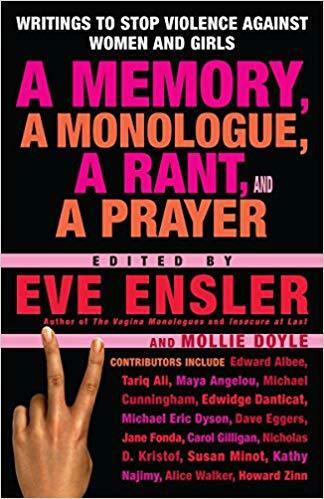 Calling all budding actors (ages 18+) of all genders, Advent is performing A Memory, A Monologue, A Rant and A Prayer in an effort to raise awareness about relational/gender violence and funds for survivors of domestic abuse. If you are interested in acting or volunteering in another capacity, please contact us here. And everyone mark your calendars for this event.